Roof ventilation is not just important during Summer. The circulation of hot and cold air from your roof space encourages a healthier environment by removing moisture as well as heat. It’s this imbalance between the two that can cause structural damage to roof trusses, the growth of mould, and sees the increase in the volume of insects. Active roof ventilation will continually circulate the air in your roof space, both hot and cold. This exchange of fresh outside air will help maintain an ambient temperature without the risk of creating damaging conditions. This can also have a dramatic effect on your air conditioning system throughout Summer as air that is too hot in the roof space takes longer to be cooled by your existing system. The Solar Star RM 1200 is designed to keep your attic cool and dry by driving out built-up heat and moisture. It’s the perfect solution for small attic spaces and moderate to mild climates. The Solar Star RM 1600 generates maximum power to battle built-up heat and moisture in your attic. 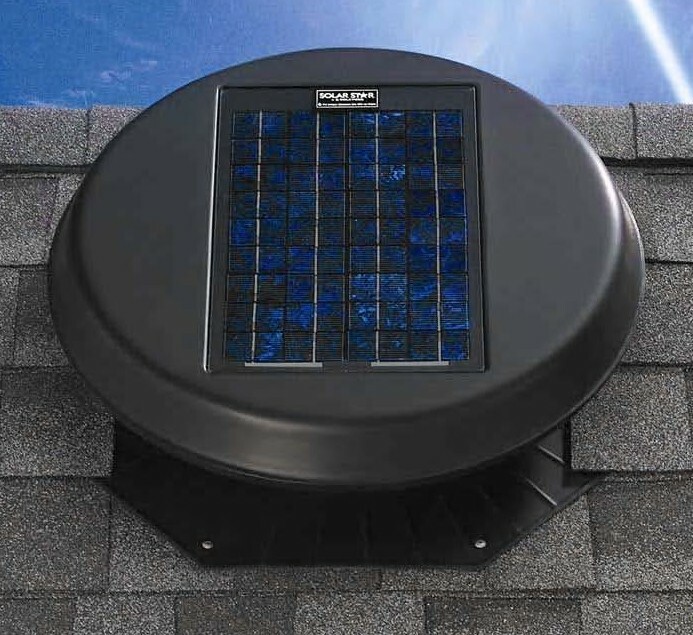 It’s the ideal solar-powered ventilation solution for large attic spaces and extreme climates. Enviromax meets the new standards and helps to make your home more comfortable as well as reducing energy costs. Solar Star is entirely powered by solar voltaic panels, requiring no electricity. That means that you won’t have to hire an electrician or go to the trouble of bringing electrical wiring up to your roof cavity. 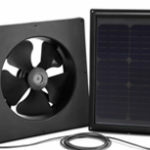 The solar panels power an efficient motor that spins the lightweight, low resistance, rust-proof polymeric fan blades in the roof- mounted roof space fans. 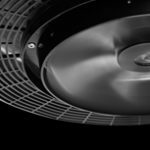 Hot air exits the roof cavity through a durable and rust-proof polymeric exhaust screen that is fully integrated with the unit. 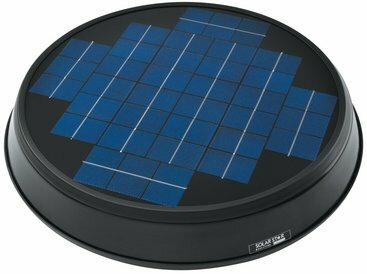 Solar Star will work in both sun and shade, but if you plan to install one in a location where direct sunlight is rare, we can provide a booster solar panel to increase its effectiveness. The brighter the sunlight, the faster the fan. 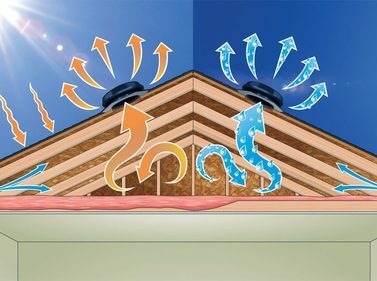 In the summer, that means the roof cavity gets the most ventilation when it’s absorbing the most solar radiation – helping to keep your home cooler in the summer months, and maintain a comfortable climate. Apart from Solar Star being compact and attractive it won’t have a negative impact on the appearance of your roof. It’s much more low-lying and stremalined than a whirlybird and depending on the size, one Solar Star provides the same amount of ventilation as at least ten whirlybirds. Acoustically it’s a dream. 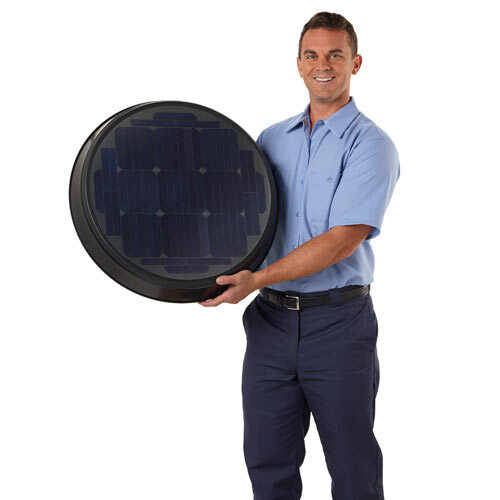 Being solar powered you won’t hear it from the building interior or exterior, day or night! 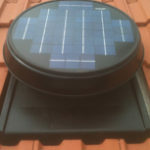 Solar Star is perfect for cooling your roof cavity during the hot Australian summer. It performs fastest when the sun is bright and direct, providing air changes exactly when they’re needed. At night when it’s cooler, the system provides minimal, passive ventilation through its exhaust screen. It works in both summer and Winter to regulate you home’s temperature. The Solar Star, like the Solatube Skylight, provides huge benefits that also help you live a greener lifestyle and reduce power costs. 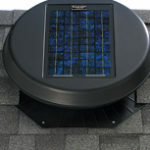 Solar Star is installed into your roof using the same kind of flashings that are included with tubular skylights. These flashings are designed for every type of flat or pitched roof and they ensure that Solar Star is leakproof and easy to install. The Solar Star system can be installed in around half an hour, regardless of roof shape and the main unit with the exhaust screen, fan and solar panel is mounted to the flashing and base with high quality, long lasting stainless steel screws. Advanced solar panel technology generates maximum power. Seamless, powder- coated steel ashing is leak-proof and durable. 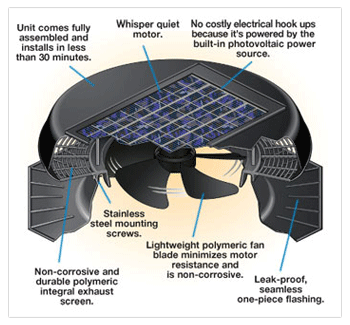 Non-corrosive polymeric fan blades and exhaust grill are long-lasting. High-performance motor is reliable and whisper quiet.